In life, there are simple questions that would amaze and keep you in wonder. Like for instance, what is the difference between dates and red dates? I was taken aback when a dear friend asked me that simple question. I answered back with uncertainty believing that technically it is the same. 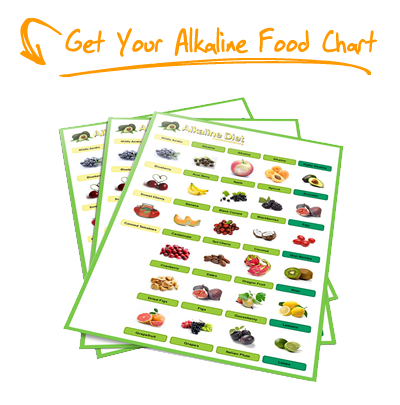 Not satisfied with my answer, another follow-up question bombarded me- is it alkaline? 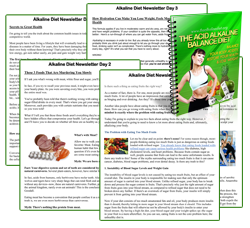 With that, I am one hundred percent sure; with a smile on my face, yes dates or/and red dates are alkaline food. Therefore, this article is dedicated to all of you who dearly include dates or red dates as part of your favorite dish. Let us find out if we can draw a demarcation line, or if there is such distinction or simply there is no difference at all between dates and red dates. Lastly, this piece of information will attempt to lay out all the health benefits of this wonderful fruit and how come it is included in most favorite dishes of many cultures around the world. Ziziphus, jujube, Chinese date, red and many of its Arabic names is a wonder fruit where natural distribution remains uncertain because of its widespread cultivation all throughout many countries such as Southern Asia like Korea and China, and between Pakistan, Lebanon, and northern India which later on, also introduces to Southeast Europe. The trees of red dates are small with thorny branches, green leaves, and toothed margin. The fruit is color green when immature and turning into dark red upon maturation, then eventually turning to purplish-black and wrinkled, look exactly like small date. They belong to the buckthorn family Rhamnaceae. While on the other hand, the dates are belong to Arecaceae of the genus from the date palm tree and originated around the river banks of Euphrates and Nile. There are also various names given to dates like Amir Hajj, Khadrawy, Medjool, and Saidy. So there it goes, the only difference is where it is originated and the answer to the question regarding the distinction between dates and red dates lie in its origin and the places where it is found and cultivated. Nevertheless, the color and taste are pretty much the same. What more can you ask from your favorite dessert like red dates if it is already packed with essential minerals and vitamins? 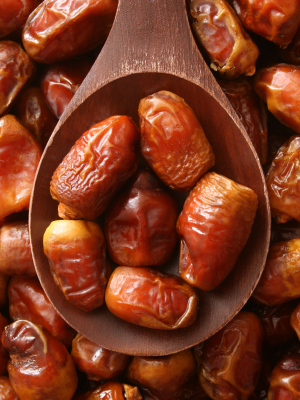 There is no doubt how dates/ red dates are the favorite dessert, snack, ingredient in soup, and included in wide variety of cuisine because of its loaded nutrients. To give more details, here are the nutrition facts that you can get from dates/ red dates. The fruit is the rich source of dietary fiber that can lower the cholesterol level as it prevents the absorptions of bad cholesterol in the gut. Many people find dates /red dates a very good bulk laxative because the fiber can undoubtedly protect the mucous membrane and decrease the exposure time to any toxic chemicals in the colon. In a research conducted at the University of Scranton in Pennsylvania, they found that died fruits such as dates consist of high concentration of polyphenols, another antioxidant. In pertaining to antioxidant, the most beneficial type of flavonoid antioxidant, the tannins can also be found in red dates. The tannins have anti-inflammatory agents and anti-hemorrhagic properties. Other antioxidant flavonoids for cell protection found in red dates are zeaxanthin, lutein, and beta-carotene. These are effective shield against pancreatic, prostate, colon, breast, lung and endometrial cancers. Dates/ red dates are rich in Vitamin A, another source of antioxidant and essential for good vision and for a healthy skin and mucus membrane. Vitamin A in red dates is also great for lung protection and reduces the risk of oral cavity cancers. Moreover, the essential vitamin B complex is also included on the numerous health benefits we can get from dates/ red dates. 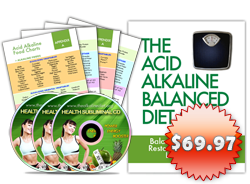 This vitamin B complex is well-known as good in metabolizing proteins, fats, and carbohydrates. Dates are also rich in essential minerals such as iron for healthy red blood cells, potassium for protection against coronary heart diseases and stroke, calcium for strong bone and teeth, and magnesium for energy metabolism. Take note that dates/ red dates are cholesterol and fat free which make it healthier! In Korean and Chinese cuisine, the fruits are used to alleviate stress while the decoctions of red dates can also treat sore throats and common colds. In China, red dates are stoned and the most favorite ingredient in many Chinese delicacies; they also employed red dates as herbal formula in their Chinese nutrition therapy. Red dates are best in nourishing the blood, soothing the mind, and moderating the toxicity from potent drugs. If taken regularly, red dates can aid digestion, anemia, cough, and underweight. Traditionally, another interesting use of red dates in some wedding ceremony in China, the fruit is placed in the matrimonial bed of couple during honeymoon as fertility sign. The famous yin and yang are also used in preparation of red dates to achieve perfect balance in health. Yin foods (cooling foods that soothe the system) have more content while the yang foods (heaty foods that stimulate the system) can increase the body’s heat and the metabolism rate. So for example, since red dates are considered yang food, you may want to combine it with yin foods such as green salads. Tonic soups made from red dates can be balanced with yin foods as well. In Lebanon, the red dates become their favorite dessert; same thing goes with Persia and Pakistan. In India, the red dates are called as ilanthai vidai wherein the fresh ripe is crushed and dried under the sun and made it as delicious cake. In Middle East, red dates are used in preparing Jallab, type of syrup made from rose water, grape molasses and dates. The fresh date is also consumed as breakfast replacement during Ramadan months wherein fasting is strictly implemented, the fresh date consist of fructose and dextrose can replenish the energy instantly and revitalizes the body. Jujuebe are favorite ingredient in most fruit salad. Some people stuffed the soft dates with almonds, orange, and other fillings. The dried fruits are best eaten as snack with tea, especially if it is just freshly harvested. Different manufacturers find a way to make it available in many different forms including tea bags, fruits in glass jars, honey, wine, juice, vinegar, and pickles. Amazing isn’t it how simple questions can lead us to search for an answer and give us new knowledge about certain things. We learn much essential information about dates/red dates that we love to eat frequently, but before that, we mostly fail to give some time in asking what is really in it that makes it famous to many countries. Nevertheless, we can be sure to say that now we know.